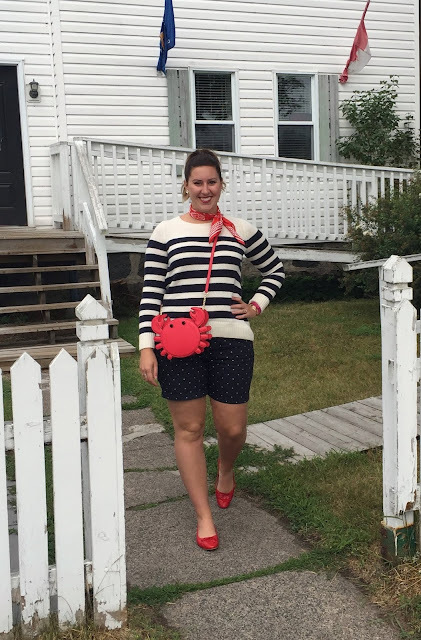 Here is my first vacation look! 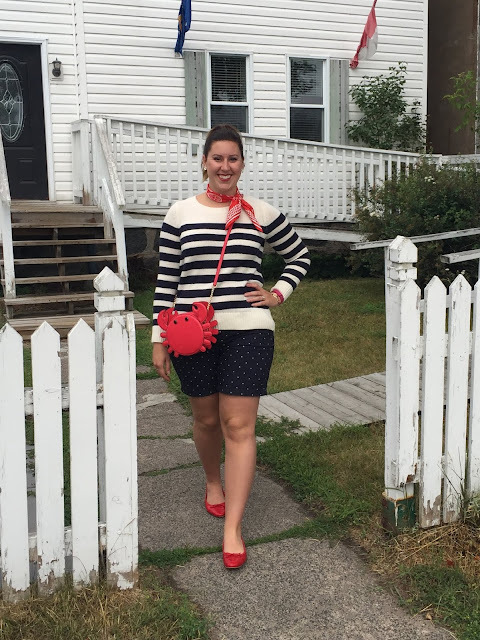 No big surprise, but I opted for a classic nautical palette for my packing list! 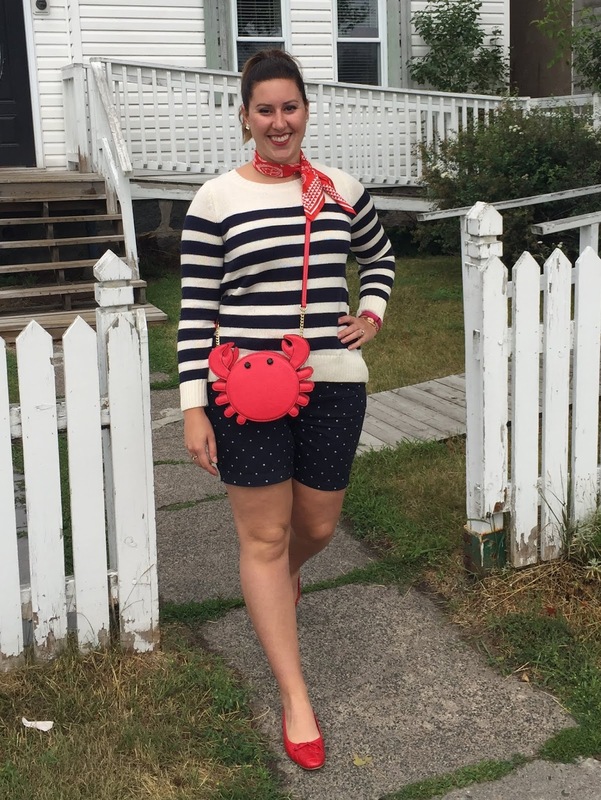 Navy, white, red and stripes abound, crab purse included! I'd be lying if I didn't say I started this capsule wardrobe with a round crab purse and a striped beach tote... The rest was built from the bags up! It was rainy on our first day there (actually a good thing because of the extreme dryness), so we went to town and had a coffee in the sweetest little coffee shop! You really can't get that small-town, hominess anywhere else but in a small town. The coffees and treats were out of this world! I even went to the sewing shop with my mom and it was simply darling. The variety of material was outstanding and the setting was so quaint. It made me what to buy all the fabric and get creating! On a side note, I should really get around to painting my sewing machine table... My poor machine has been in a box since we moved back in over a year ago. It's on my to-do list! For this dreary day, I chose to wear my striped sweater with navy polka dot shorts and red accessories. 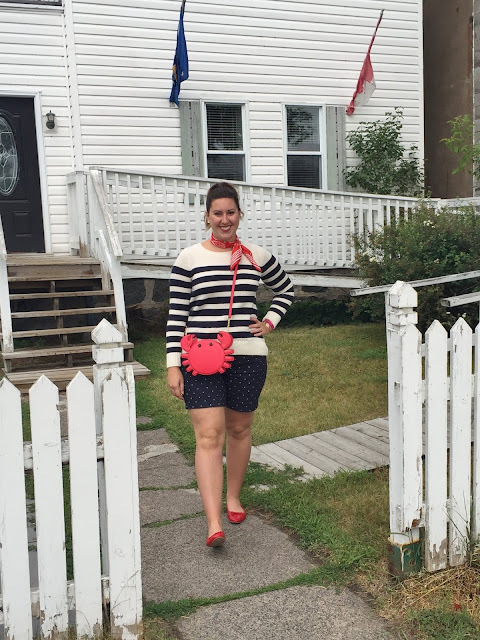 Once you go nautical, you don't go back!